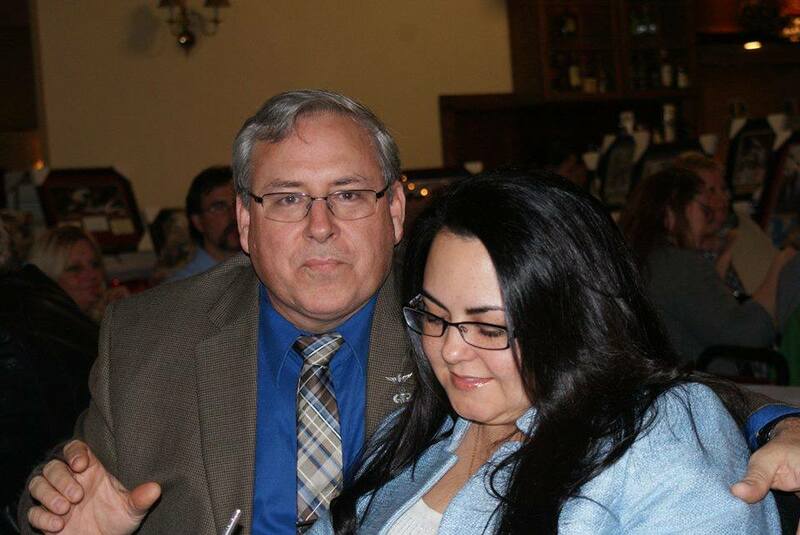 Four Local Veterans Bestowed “Valley Patriot Hero Veteran Award” at Annual BASH! Massachusetts Secretary of Veterans’ Services Francisco Urena (at podium). From left to right; Valley Patriot Hero Veteran Award winner Donald Jarvis, Former Middlesex County Sheriff’s Deputy Dan Strange, Valley Patriot Hero Veteran Award winner J.T. Torres, veterans Gerard MaGuire, Valley Patriot Hero Veteran Award winner John Ratka and head of Veteran’s North East Outreach Randy Carter. The Valley Patriot held our annual BASH last month, at the Relief’s In in Lawrence and granted four local veterans with The Valley Patriot Hero Veterans Award. Because honoring veterans is so much a part of what we do at The Valley Patriot, each year we honor local veterans who themselves honor our hero servicemen and women here at home. Honoring our veterans and recognizing their incredible sacrifices is one of the most important things we do at The Valley Patriot. 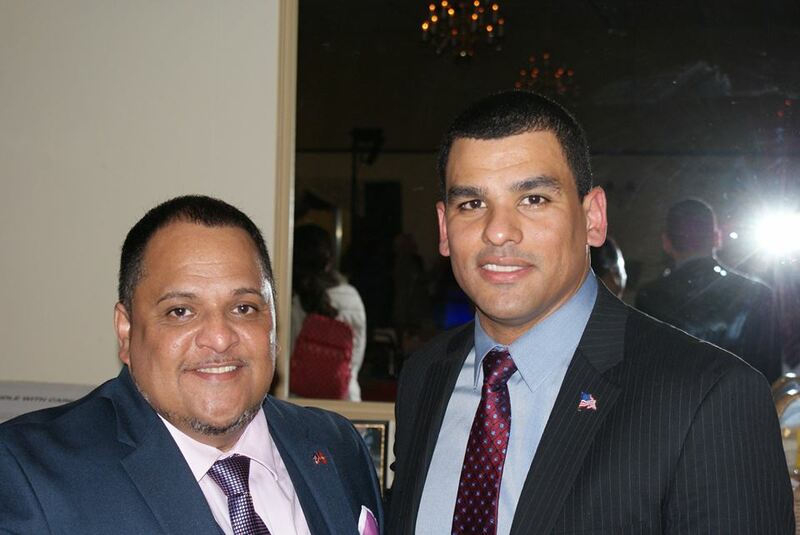 Massachusetts Veterans’ Services Secretary Francisco Urena honored us with his presence and his presentation for the four local veterans recognized that evening. “On Behalf of Governor Baker, Lt. 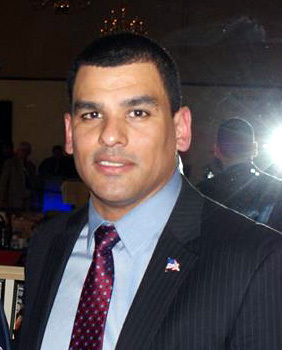 Governor Polito, and the 365,000 veterans who call Massachusetts home, it is a great honor to be here in the great city of Lawrence with each and every one of you all who are great supporters of this great newspaper, The Valley Patriot,” Urena said addressing the crowd of hundreds who packed the room. “We have a couple of Valley Patriot Hero Veteran Awards to give out tonight, and we’re going to start with Sergeant Major Eric Nelson, United States Army, retired. He was part of the 82d Airborne Division and the 56th Medical Evacuation Battalion, Air Ambulance at Fort Bragg, and 3rd Military Intelligence Battalion. In 2003, Sergeant Major Nelson was an Aviation Mission Operations Manager for the 4th Aviation Brigade stationed in Baghdad, Iraq. During that mission, he trained over 300 personnel on convoy operations with no combat accidents or injuries. Nelson was awarded the Bronze Star Medal. In 2004, Sergeant Major Nelson became a Senior Aviation Trainer and performance coach stationed at the Joint Multinational Readiness Center in Europe until 2007. During that time, he facilitated workshops in community leadership, led a team of 45 trainers and experts and coached senior leadership. For his contributions, Nelson was awarded the Army Aviation Association of America’s Order of Saint Michael Medal for contributions in training and developing future Army aviation leadership. In 2007, Nelson received an honorable discharge from the military and began working at Valley Works Career Center in Lawrence to help other veterans. He continues to work there as the Local Veterans Employment Representative assisting veterans to find employment. During his military career, Nelson received numerous awards and decorations that include: Air Medal (#2), Army Commendation Medal (4 OLC), Army Achievement Medal (3 OLC), Good Conduct Medal (6th Award) National Defense Service Medal (2), Southwest Asia Service Medal (2 Bronze Service Stars), Humanitarian Service Medal (#2), NCO Professional Development Ribbon (#3), Army Service Ribbon, Overseas Service Ribbon (#2), Kuwait Liberation Medal (Saudi Arabia), Kuwait Liberation Medal (Kuwait), Meritorious Unit Commendation, Army Superior Unit Award, Drivers Badge, Master Parachutist Badge, Senior Aircraft Crewman Badge, and the Turkish Parachutist Badge. 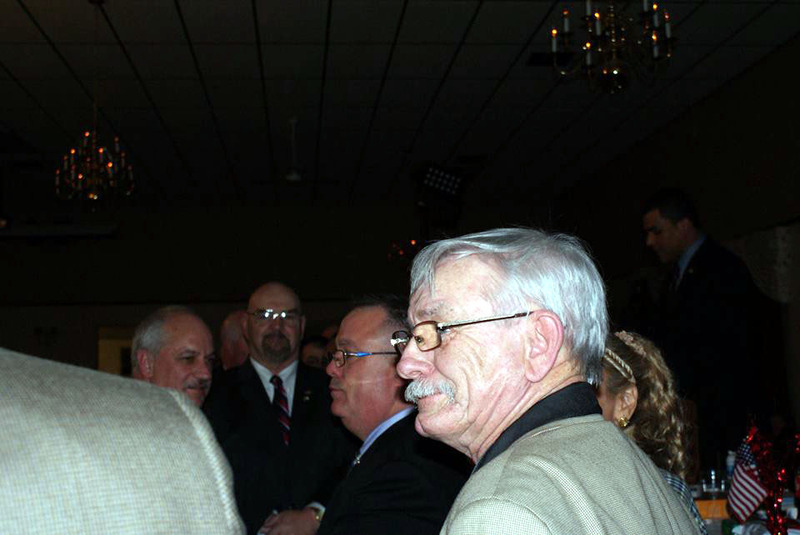 Veteran’s Services Coordinator Gerry Maguire, Veteran Award Winner John Ratka looks at his award with Randy Carter to his right. Our Second 2016 Valley Patriot Hero Veteran Award goes to John Ratka. John Ratka is the Executive Director of the Veterans Northeast Outreach Center, following a distinguished 26-year career in the United States Navy. John enlisted in the Navy in 1972. He completed 21 submarine deployments, numerous surface ship deployments and attained the rank of Command Master Chief. John’s major tours of duty include: Command Master Chief Portsmouth Naval Shipyard, Command Master Chief Submarine Squadron 22, Command Master Chief Naval Air Station Lakehurst, New Jersey and Chief of the Boat U.S.S. Alaska. Before honoring our last recipient, Secretary Urena said he wanted to leave the stage and go off program to honor a Lawrence resident who is not only a member of The Valley Patriot family, but is also a hero Vietnam Veteran with a 50th Anniversary service pin. Urena affixed the pin on Russel’s coat and Russell saluted him to the wild applause of the crowd. To all of our veterans, thank you for your service to our country and to the families of our veterans, thank you so much, because we know that when a veteran serves, their families also sacrifice. So, thank you! 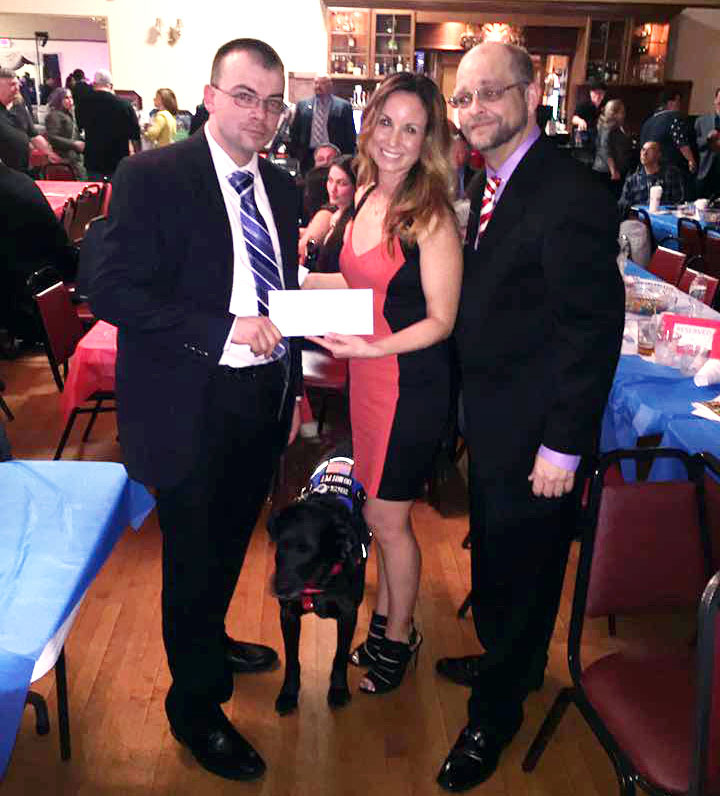 Hero Veteran Don Jarvis with The Valley Patriot’s PuppyGirl Kate Whitney (who donated half of her raffle take to Delta Dog) with Valley Patriot publisher Tom Duggan. Former Middlesex County Sheriff, Dan Strange, then spoke about why Donald Jarvis received our final Valley Patriot Hero Veteran Award. 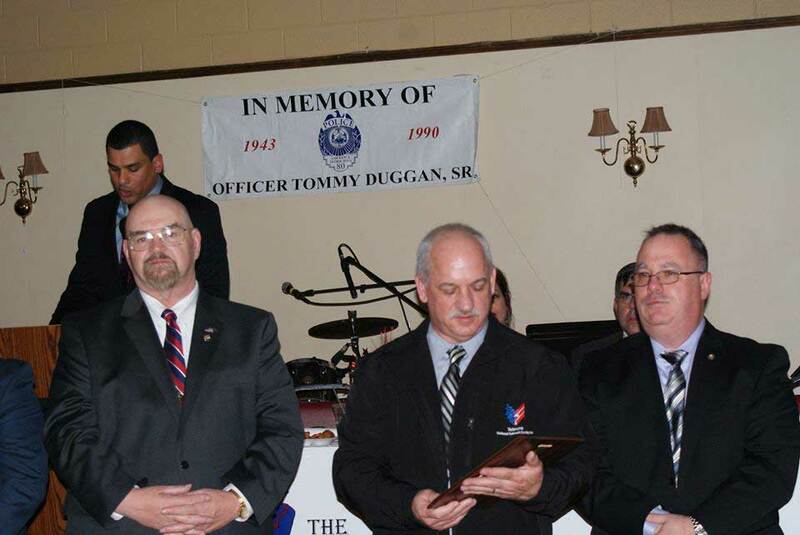 “I would be remiss tonight Tommy, if I didn’t start off by thanking your father for his service and sacrifice,” he said pointing to the banner bearing Officer Duggan’s name. “I would also be remiss if I didn’t point out that you made a great point about the media earlier Tom. Let me give you one more example of how right Tom is about how bad the news media is”. “Donnie said ‘This is unacceptable and I’m going to do something about it.’ Because they wouldn’t allow him to operate a chainsaw in the cemetery, he got a handsaw and cut down every overgrown brush and tree over every veteran’s grave, and he did it by hand. The students at Triton Regional High School even came out to help.